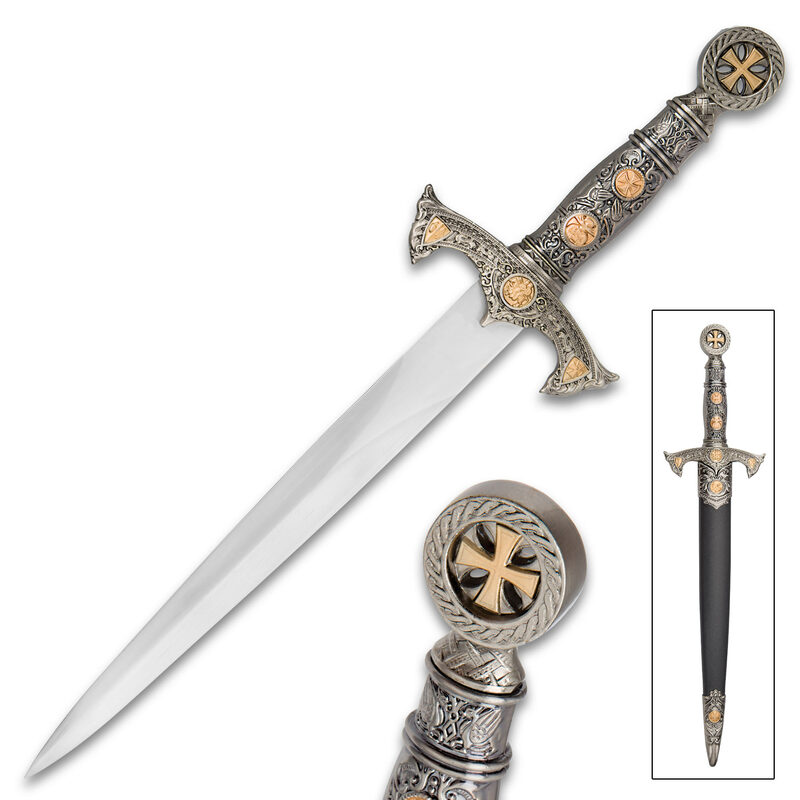 The Tomahawk Crusader Cruciform Short Sword was designed and expertly fashioned to be a high-quality replica weapon suitable for display on your desk, bookshelf or coffee table.The era of those spiritual warriors, the Crusaders, was used as inspiration, which is reflected in the traditional equal-armed Crusader cross in the pommel. 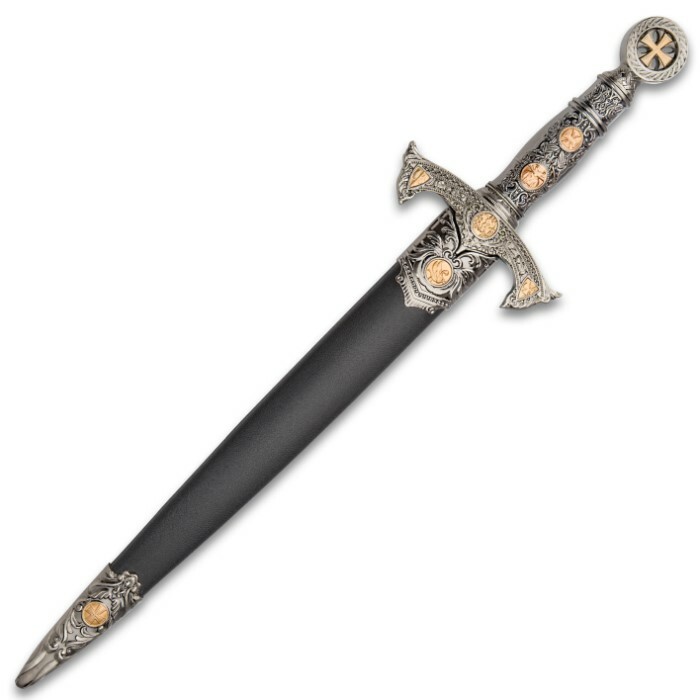 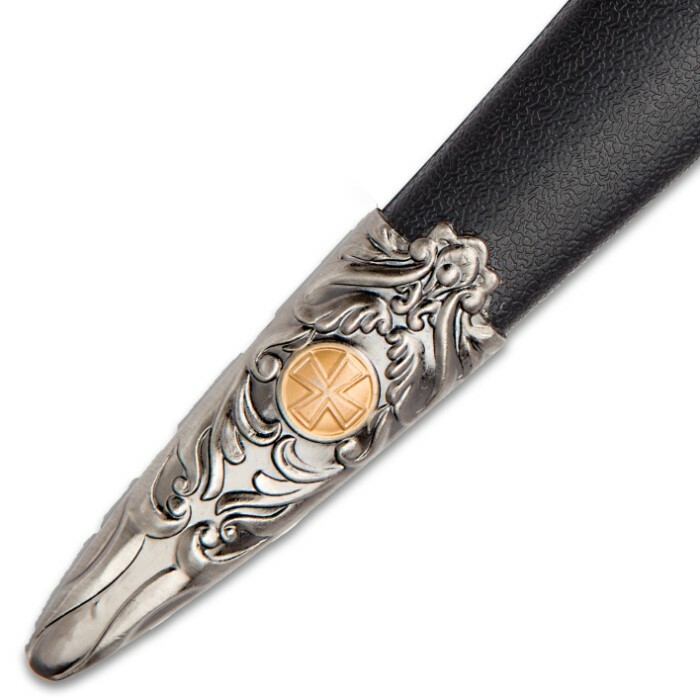 It has a 9 1/4" 420 stainless steel display blade and a metal alloy, intricately decorated handle and guard with a pewter-look finish and gold-colored medallion accents.The black ABS scabbard, which houses the blade, also has complementary metal accents. 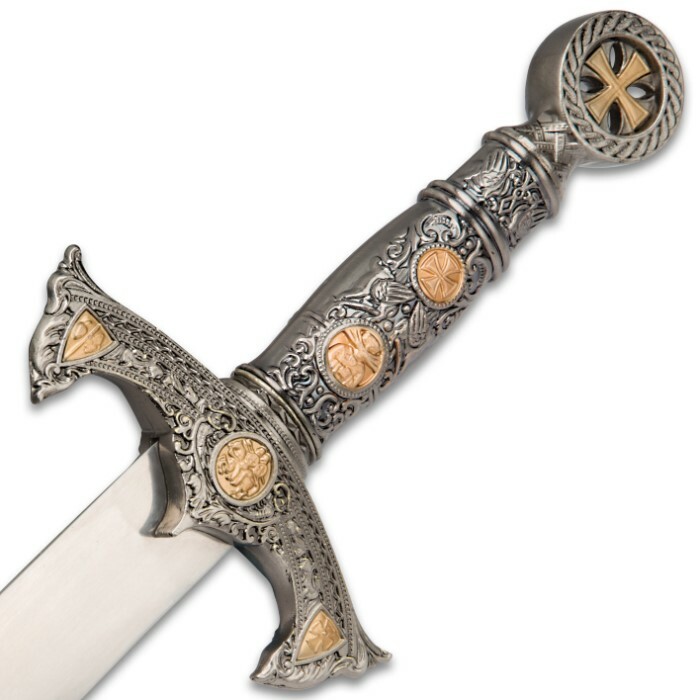 The Tomahawk Crusader Cruciform Short Sword makes a superb gift for the collector.